In today’s post, our panel of experts discuss how roof colors affect homes. Roof colors tend to mesh into the background and garner very little of our attention. It is without a doubt however that roof colors affect homes. Our experts discuss the matter and give a few tips and tricks to homeowners. Reflection and absorption play an important part in how seasonal roof colors affect homes. A well known fact that always escapes our attention is that roof colors affect homes internal temperature. Another fact is that roofs with a lighter color reflect heat and high temperature. The opposite applies for darker colored roof which absorb that heat and high temperature. This off course means that this heat gets transferred to the roofs below the roof. 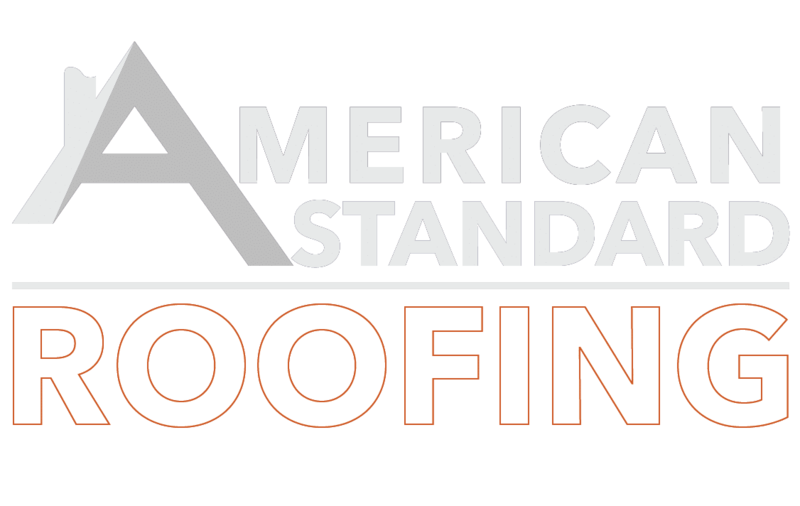 Our roofing professionals here at American Standard Roofing also point out that color of the roof is not the sole component of the equation here. The material with which roof is made also determines the reflectiveness of your roof. They were quick to point out that asphalt shingles are less reflective than metal or rubber roofing materials. This means even light color shingles may bring more heat into your home as compared to a darker colored metal roof. But back to how roof colors affect homes. 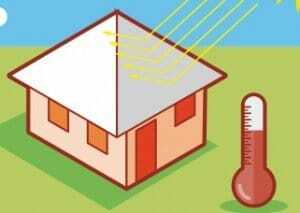 How do roof colors affect homes temperature? If you have a light roof, your home absorbs less heat through the roof during summertime. Consequently, your home’s air conditioning yields better results and efficiency. You also save more by paying less in energy bills. On the other hand, a darker shade roof is more likely to raise the temperature inside your home. This makes your air conditioning works extra hard because of the heat, and thus your utility bills come out to be more. 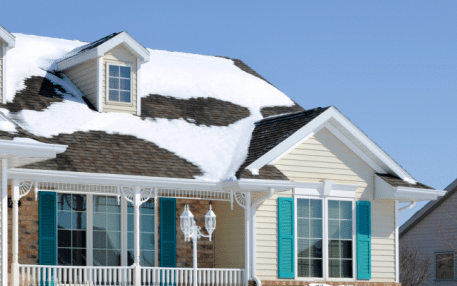 During the winter however, the opposite conditions hold true for how roof colors affect homes. In colder temperatures, people want more heat inside their homes. 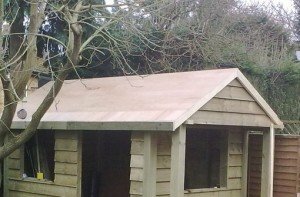 A darker shade roof captures and absorbs more heat compared to a lighter color roof. For this reason, our team here recommend darker colored roofs in older climate zones with long winters and short summers. The colder parts of the country have fewer daylight hours with sun shining during the winter times. 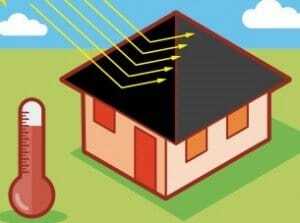 This means less sunlight exposure which in turn means fewer heat rays coming down on the roof. This gives the roof less time to absorb heat irrespective of the color. Important thing to remember is that even dark roofs may not actually appear dark because they’re covered in snow. If there is snow on the roof, the white color will reflect the sunlight. This means the darker colored roof underneath the layer of snow cannot absorb heat. If the roof can not absorb heat, it will not melt the snow. Finally, if your roof has regular winter problems like ice-dams, your roof color probably isn’t the culprit. More likely, insufficient attic insulation and poor roof ventilation create such problems cause the roof to not absorb heat. So snow might be a factor, but it’s not really a significant factor when it comes to snow melting away because of roof color. Dark roofs do have a snow melt effect; it is tiny however. We recommend homeowners to contact roofing specialists and have their roof evaluated. 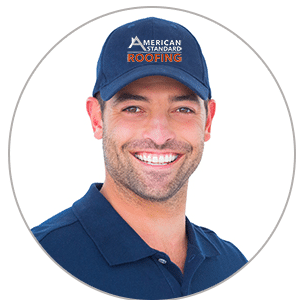 A proper roofing professional will be able to give great solutions and advice on the subject. Verdict: Which Color Roof To Go For? In the end the decision is obviously the homeowner’s. We do know that roof colors affect homes, and that is a fact. The Energy Department of US recommends lighter colored roofs for houses in warmer climates. But they also provide a caveat: lighter colored roofs may increase utility bills and energy costs in colder climate areas. Ultimately, it becomes a matter of personal preference. With the wide variety of roofing shades and materials available in the market, a suitable comprise can be achieved between the right color and local climate.